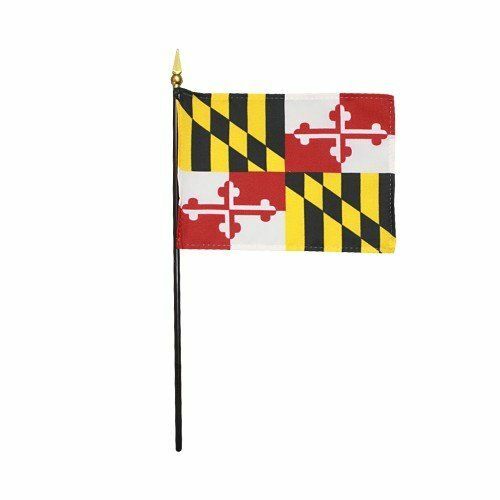 AmericanFlags.com is proud to carry Maryland State Flags in a variety of materials, and styles, in sizes ranging from 4 IN X 6 IN to 12 FT X 18 FT. All of our Maryland flags meet official specifications, are on sale right now and are ready for immediate shipping to your door. 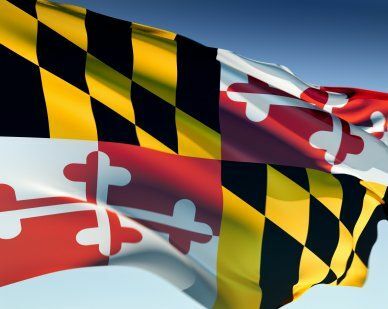 Officially adopted in 1904, the State Flag of Maryland is the only U.S. state flag that is based upon the coats of arms of British nobility. 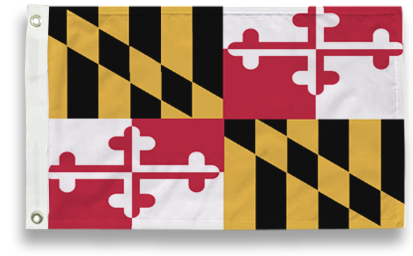 Bearing the arms of the Calvert and Crossland families, the flag was first flown on October 11, 1880 at a parade in Baltimore, marking the founding of the city. 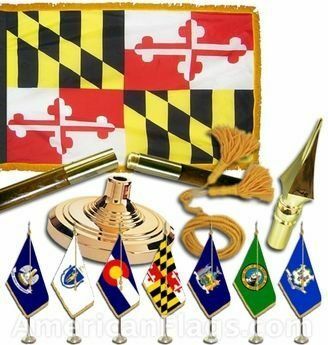 The black and gold colors belong to the Calvert family, which was the family name of the Lords Baltimore, who founded Maryland. 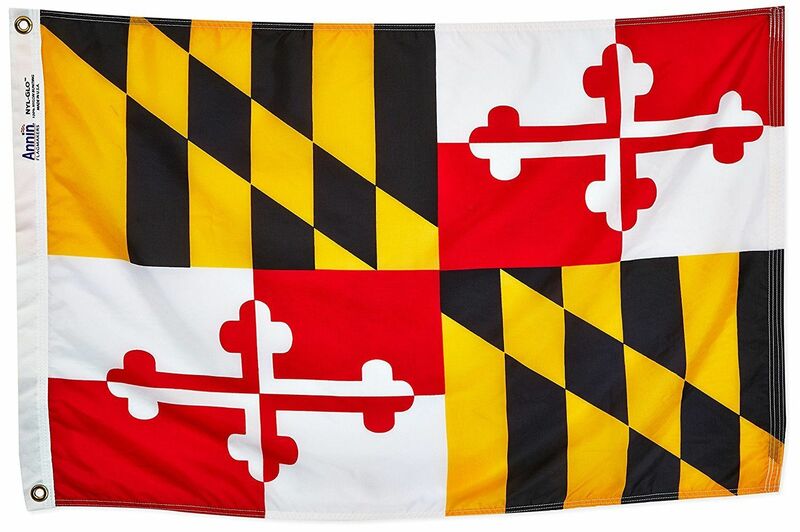 The red and white colors belong to the Crossland family, from the first Lord Baltimore's maternal side.